Enjoy 30% Off Women's Clothing the Sale at Nike - Shoes, Tops, Accessories & More! Look your best when working out, ladies get 30% off in the end of season sale. Nike Air Collection from £55 at Nike Don't miss out on the iconic Nike Air collection. £50 Off Selected Men's Orders in the Spring Sale at Nike Awesome savings to be found at Nike. Best Sellers From £17 at Nike Check out the top picks at Nike, including shoes, bags, and accessories. New Free RN 5.0 Trainers From £94.95 at Nike With brand new innovative technology, the Free RN 5.0 trainers are a must for any runner. Gift Cards From £25 at Nike Not sure what to get someone? A gift card from Nike is the perfect solution, they won't be disappointed. Free Customisation on Kits & Jerseys at Nike Make it personal with free customisation at Nike! 20% Off for Your Birthday with Newsletter Sign-Ups at Nike It's your birthday and Nike is here to treat you! Sign-up to the Nike newsletter and you can get 20% off for your birthday. Up to £35 Off Orders in the Kids Sale at Nike Get all the gear for the kids in the end of season sale at Nike. Women's Trainers From £40 at Nike Check out the latest trainer styles at Nike. From their motivational slogan to their iconic logo, Nike is one of the world’s most recognisable sporting brands. Guided by the results in the Nike Research Lab, Nike continues to create innovative sportswear products for teams and individuals who are driven by health and fitness. Forever striving to produce clothing, footwear and accessories that aid exceptional sports results - this company is always at the forefront the world’s fitness. Browse the finest of sporting attire and join the revolution. 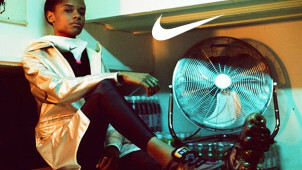 Now you can kick start that fitness regime, up your game or take on a new one - with Nike, you can make it happen. Whatever your sport, Just Do It with Nike! One of the most inspiring brands out there, Nike has been supporting athletes and sports' lovers everywhere; not only in their game, but in breaking down the barriers of what others says we can or can't do. Don't hold back when you shop with Nike! How do I use my Nike discount code? Click ‘Checkout’, or ‘Check Out with PayPal’ to continue and complete your transaction. Register with Nike to access personal services and discounts straight to your inbox, plus you'll get all the benefits of Nike+. Can I get a Nike student discount? Can I get Nike free delivery? Yes, delivery is free on orders over £50 and free for NikePlus members. Every shoe is different, especially when it comes to specialised running models so be sure to take a look at the Nike & Hurley size charts to match up which shoe size will be perfect for you. Where is my nearest Nike Store? If you’ve changed your mind or if your items don’t fit, you can send them back to Nike for a refund within 30 days from the shipping date. If the 30 day period has passed and you still want to return your items, Nike will be happy to refund you as long as the items are unused. Do check here to read the full terms and conditions. Standard Delivery is free for orders over £50 (or for NIke+ members) - arrives within 2-3 days. Next Day Delivery is available for £8 - order by 12pm. Click and Collect is also available for the same prices as standard delivery - orders arrive in 2-3 working days. Simply fill out and affix the returns label you received with your package - you can download one here if you don't have one - and return your items as they arrived. Returns are free from Nike.com if you use the prepaid return label. You can also reach Nike online via their contact form. Nike.com also has a live chat on their website operating between 8am - 5pm. In football success often comes in waves and cycles. For example, the 1990’s saw Manchester United dominate the Premier League whilst Barcelona won La Liga 6 out of the 10 years. Examine the history books, and an all-time league table can be created to reflect the clubs that consistently come out on top, plus those interesting anomalies. Curious to see if any common denominators could be found among successful clubs, we realised that there are some patterns when it comes to kit manufacturers. So, we’ve analysed the last 11 football seasons and noted the brands responsible for kits of winning clubs across the top 5 football leagues in Europe, plus the Europa League and Champions League. The results make for interesting reading. See the respective football kit league tables below, with the key underneath. Out of the 77 competition winners, NIKE manufactured the kit for 48% and are the clear leaders. Adidas come in 2nd place with a 33.7% share. Puma and Umbro are joint 3rd in the overall standings, with 5.1% each. They have tended to produce the kit for teams that are not traditionally considered as challengers/champions. For example, Leicester City in the Premier League, VfB Stuttgart in the Bundesliga, plus Bordeaux and Lille in Ligue 1. Sevilla FC have had an unusual, and outstanding, period of sustained success in the Europa League, but they are also prone to changing their kit supplier! Their 4 competition wins in the last 11 years have come under 3 different manufacturers, and the competition is the most eclectic overall. The Champions League results reflect the dominance of NIKE and Adidas in the market, as they’ve produced the kit for 5 & 6 winners respectively. The Premier League, Bundesliga and Ligue 1 had the widest variety of winning clubs, and this led to them also having the greater range of kit manufacturers. Forget limits when you shop with Nike, this is your one-stop shop to upping your fitness game as well as your personal swag. Use a Nike discount code to save on state-of-the-art goods to support you in your daily adventures this summer. For the runner, swimmer, hiker or commuter - this is where you can get the gear you need to feel and perform 110% every day in whatever you do. Visit Nike+ and you’re in for a treat. In no time you’ll be hearing about news, events and promotions relevant to you, your lifestyle and your sport. Just one sign up to register with Nike, for the app and Nike+ equals easy gains. Now your fitness motivator will stay with you wherever your day may take you. Your sneaker closet is looking a little bare. Why not mix things up a bit with Nike, whose collection of summer sneakers will knock your socks off. Add a pair of Nike's to your arsenal of trainers with the savings from a Nike promo code today. You will always feel at your coolest when you’re in a pair of Nike trainers. Go Zoom, Air Max, Pegasus or another - whichever model you choose you’ll love them to bits and they will support your feet, back and core with every step you take.